The Top 10 Wealth Principles That Can Change Your Life! What exactly is a money blueprint? 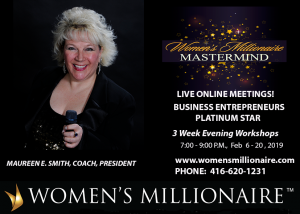 How does your money blueprint determine your financial destiny? Like a blueprint for a house, which is a preset design for a home, your money blueprint is your preset way of being in relation to money. It consists of a combination of your thoughts, feelings, and actions. 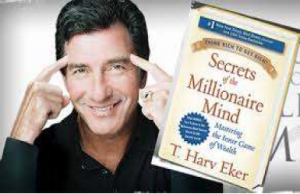 Each of us has a personal money blueprint already ingrained in our subconscious mind, and it is this blueprint that will determine your entire financial life. You can be the best businessperson, the best negotiator, the best marketer, the best salesperson, the best communicator, or the best manager. You could be an expert at your job. You could know every real estate strategy. You could know every technique about stocks and finances. But if your subconscious money blueprint is not preset for a high level of success, you will never—I repeat, never—amass a large amount of money. And if by chance you do, you will most likely manage to lose it. Let me give you an example. We’ve all heard the stories about lottery winners. They win 5, 10, 50, 100 million dollars—but five years later, virtually half of them are right back to where they started. Why? Because their money blueprint is set at a low level. On the other hand, the opposite occurs for self-made millionaires. Notice that when self-made millionaires lose their money, they usually have it back within a relatively short time. Why does this phenomenon occur? 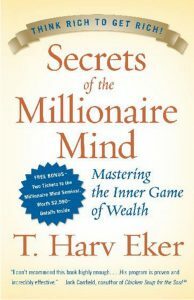 Because even though some self-made millionaires may lose their money, they never lose the most important ingredient to their success: their millionaire mind. Their money blueprint is set a very high level. How do I know about all of this? Simple. I struggled for 12 years, working like crazy for 17 hours a day, seven days a week, trying to make it big. I had 12 jobs and 14 businesses. I studied every business strategy, went to every motivational program, and even followed the most enlightened spiritual advisors, hoping that maybe a higher power might help. Nothing worked—until I learned about my money blueprint and most importantly, how to change it. How fast can one go from being totally broke to rich? Generally, in any courses that I teach, I share with my students how they can go from totally broke to rich within a 3-5 year time period. 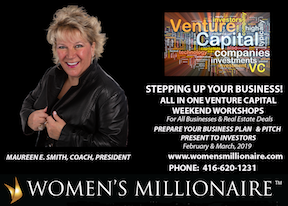 The biggest change here lies in readjusting their financial thermostat to a new and improved level of wealth. Think of it this way: If the temperature in a room is 72 degrees, chances are really good that the thermostat in the room is set for 72 degrees. Now here’s where it gets interesting. Is it possible, because the windows are open and it’s very cold outside, the temperature in the room could drop to 65 degrees? It could, but what will eventually happen? The thermostat will kick in and drive that temperature back to 72. So what if the windows are open and it’s very hot outside? Is it possible the temperature in the room could go to 77 degrees? Of course it could, but what will eventually happen? The thermostat will kick in and drive it back to 72. Meaning that the only way to permanently—I repeat, permanently— change the temperature in that room is to reset that thermostat. The same goes for you. The only way to permanently change your financial life is to reset your financial thermostat. So what is your thermostat set to right now? If you take a look at what you’ve been earning per year for the last few years, that will give you a pretty good idea. Has that number changed significantly? If you’re like most people, you’ve probably been hanging out around the same number for quite some time. This is because your thermostat is set at a certain number, and your average earnings will always go back to that number if you don’t work on increasing it to a desirable income level.